NoviFlow switches implement the next generation networking technology – a programmable forwarding plane with match+action rules in a fully programmable pipeline. This new networking paradigm has huge implications for implementing network intelligence where it can do the most work: protecting networks from attack by stopping them before they get to application servers. It enables network policy enforcement, resource optimization and cybersecurity to work directly the network fabric to optimize user experience, new service deployment, efficient multi-tenancy, and both operating and capital costs. Recent years have seen tremendous and accelerating increases in demand for data networking capacity with carriers and in enterprises. The multiplication of mobile and connected devices, the proliferation of streaming video-based applications, and now the internet of things (IoT) will only increase the challenge of delivering capacity and ensuring quality as data moves from web to mobile to machines. The challenge is even greater for companies seeking to protect data, infrastructure and identities by cost-effectively inspecting, analyzing and mitigating cyber threats in an age of social networks, state-sponsored cyber- terrorism, automated BOT networks, and machine learning driven malware. 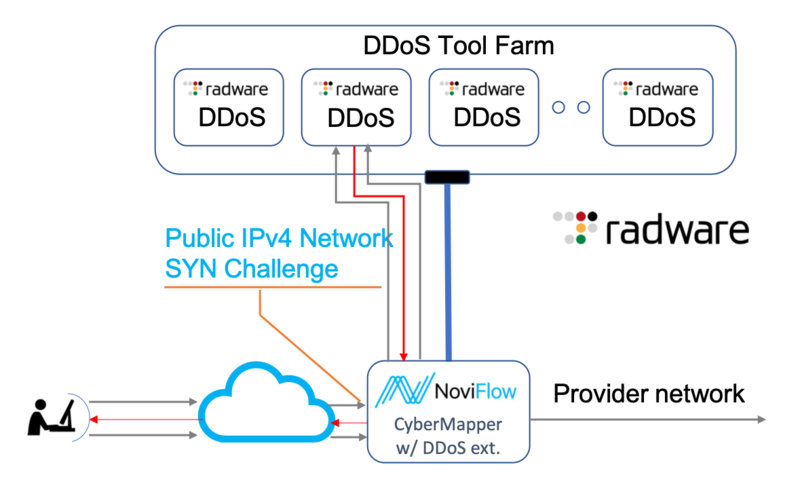 The joint Radware/NoviFlow solution combines NoviFlow’s CyberMapperTM SDN-enhanced forwarding plane with Radware’s industry-leading on-premise DDoS mitigation device, DefensePro, and cybercontrol application, DefenseFlow, to deliver high throughput and scalable DDoS mitigation. 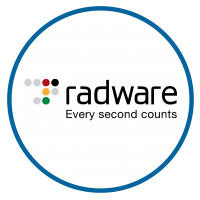 This eliminates the need for load balancing, network changes/updates and provides a mitigation API interface that allows Radware’s solutions to directly control the instantiation and provisioning of traffic steering on NoviFlow’s NoviWare switches. The result is an automated DDoS attack prevention service that scales on-demand while reducing total networking CAPEX and OPEX.